Back in August of 2013, I wrote a blog entitled 9 Inbound Marketing Thought Leaders You Should Follow. The post received such a great response that we’ve been aiming to write a follow up for months now. Well, here it is. 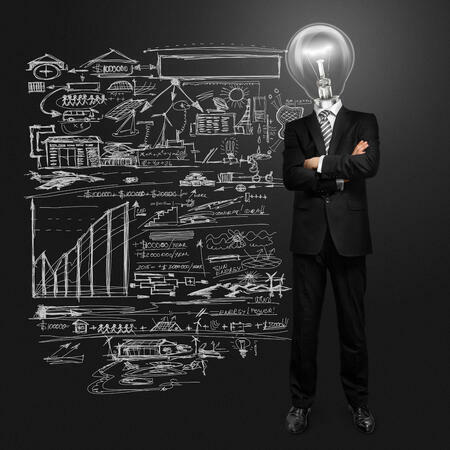 Here are 6 More Inbound Marketing Thought Leaders You Should Follow Today! With over 35 thousand Twitter followers, Brian has proved himself worthy of a spot on this list because of his many contributions to popular marketing sources such as Search Engine Journal and AllFacebook. Speaking of Facebook marketing, Brian literally wrote the book on the topic. Follow him for topical insights on Facebook, Linkedin, and the occasional basketball commentary. Joel is the Founder and CEO of the social media scheduling app Buffer. Joel qualifies as a thought leader in not only marketing, but he has also become a pioneer into what he calls Open Salaries, which is a policy instituted by Buffer in which they publicly post the salaries of every individual on their staff. Follow Joel for groundbreaking new business practices, life hacks, and great marketing content focused on social media. Kyle is a thought leader who specializes in the intersection of technology and marketing. As the Senior Manager of Content Marketing and Research for ExactTarget, Kyle has written three books on the topics of Twitter marketing, personal branding, and social CRM. Follow Kyle for thought-provoking content on the future of marketing tech. Brian is the Founder and CEO of Hubspot, an author of a best-selling book, and a senior professor at MIT. Brian’s work in the marketing automation world cannot be overstated. His company has helped to actually make the term inbound marketing almost common industry jargon. He is constantly pushing the boundaries of what a marketing automation platform can and should offer. Follow Brian for a breath of fresh air. He offers industry related topics as well as more macro-economic content. Amy is the answer to the tightly-buttoned marketing crowd. Her tone is light and her perspective is unique. She’s been a contributor to Forbes, Mashable, and Social Media Examiner, and has even written a book on Facebook marketing. Follow Amy for her very granular, simply-put content and step-by-step instructions for executing inbound marketing tasks. Paul demonstrated his thought leadership when his agency became Hubspot’s first value-added reseller. His book, PR 20/20 has been so influential that is has become required reading for many inbound marketing firms (including this one). He is an advocate for innovation in PR and marketing and continues to define the “model agency” of the 21st century. These individuals were chosen based on their demonstrated thought leadership and their specific affect on the members of our team, but we’re eager to know if and how these people have influenced you or if you think we missed someone. Leave a comment letting us know what you think. For more tips, tricks, and tools for better inbound marketing, project management, and productivity, sign up for our blog!